Institutional investors are seeking sources of revenue that will maintain the diversity of their portfolios, stabilize their cash flow and further the long-term appreciation of their investments. This is particularly true of pension funds, as a historically significant percentage of the population approaches retirement, economic and demographic factors are poised to strain traditional sources of retirement income. Institutional investors are also revising their investment strategies and reallocating a greater portion of their portfolios to real estate and private equity investments. In addition to direct ownership of real estate, real estate investment trusts (REITs) are regarded throughout the industry as a consistent and productive component of any investment portfolio. Another popular option being used by pension funds and other institutional investors is the pooled fund, which provides a number of benefits for investors including professional management, diversification and convenience. These pooled funds, along with hedge funds, are being increasingly used by institutional investors to satisfy the private equity and real estate allocations of their portfolios. The broad range of alternatives, coupled with the special needs and concerns of institutional investors, create significant opportunities and challenges for institutional investors and pension funds, as they choose among a variety of investment vehicles and fund managers to deliver the best returns for their investors or pension holders. Similarly, general partners and other fund managers who want to appeal to institutional investors must recognize the special tax and other needs of these institutional investors, and structure their fund offerings to provide an attractive combination of variation, high yield and low risk. We provide innovative counseling to fund managers and pension funds, investment advisors, governmental retirement systems and other institutional investors across the country. Our team of attorneys handles virtually every aspect of real estate, private equity and hedge fund investments on behalf of public and private institutional investors, as well as investment advisors and fund managers who work with these investors. 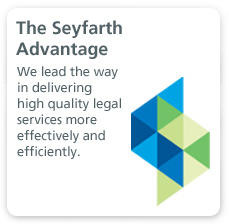 Whether forming a fund, investing in a fund, or advising those who do, our attorneys have the experience to navigate clients through the complicated business, tax, regulatory and fiduciary issues facing the institutional investing world. Our work with both general partners and investors public and private provides us with invaluable insights into the structure and operation of funds. Many of our institutional clients invest in pooled funds and hedge funds to meet their private equity and real estate needs. Our attorneys (i) counsel institutional investors regarding the latest trends in fund structure and terms, (ii) review the private placement memoranda and partnership/operating agreements, (iii) negotiate side letters and appropriate amendments to the underlying documents (iv) if necessary, assist our clients in establishing off-shore affiliates for a particular transaction to minimize unrelated business taxable income (UBTI) issues. We have experience with U.S., foreign and international funds, including funds of funds, commodity pools, master-feeder structures, guaranteed funds, segregated portfolio companies and passive foreign investment companies. 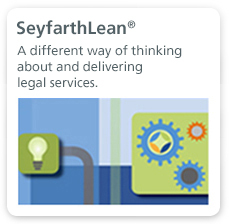 concerning the formation or investment of a fund, choice of the investment vehicle, the jurisdiction of its formation, the structure of the investment, and issues involving taxation, control and transferability of interests, our attorneys work side by side with clients to provide strategic counsel. We help clients draft and negotiate agreements, including partnership and joint venture agreements, structure entities to minimize any UBTI issues, issue opinion letters regarding UBTI, and create sophisticated, preferred returns or other tax structures to avoid the creation of UBTI. Our attorneys also have substantial experience in all aspects of the taxation of REITs, which in some cases have become the vehicle of choice to address state and local tax issues. 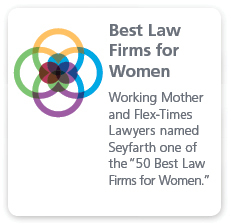 Seyfarth earned recognition for Business of Law and honors for Litigation.